MetOp-C meteorological satellite will be launched in October 2018. Credit: ESA–G. Porter. The sensor module for MetOp-C was manufactured at Airbus’ Friedrichshafen facility in Germany. Credit: ESA–G. Porter. MetOp-C will enable numerical weather prediction (NWP). Credit: Airbus Defence and Space. 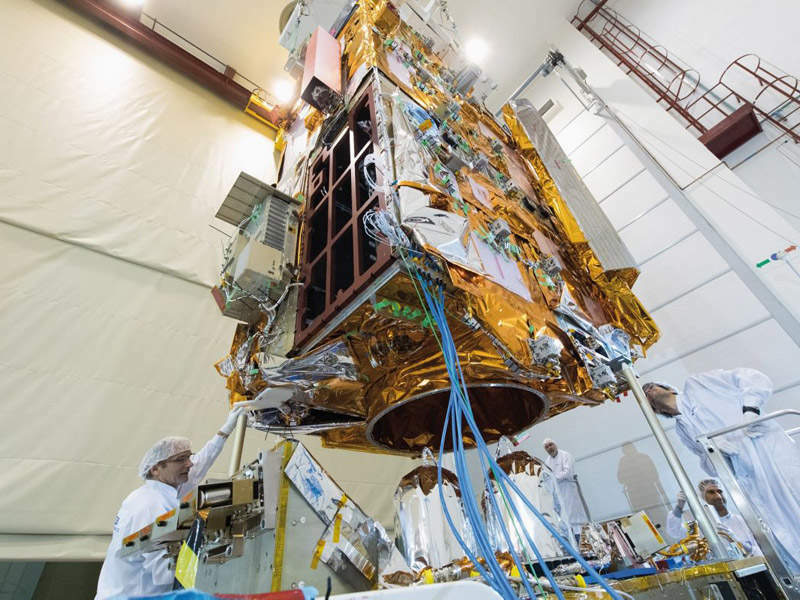 The third meteorological satellite in the MetOp series, MetOp-C, is scheduled to be launched into space aboard the Soyuz rocket from Europe’s Spaceport in French Guiana in October 2018. It is set to be placed in a sun-synchronous orbit at an altitude of 817km and will provide data for both operational meteorology and climate studies by replacing its predecessor, the MetOp-A satellite. The new satellite is expected to offer comprehensive observations of the global atmosphere, oceans and continents. It is being developed by the European Space Agency (ESA) and EUMETSAT (European Organisation for the Exploitation of Meteorological Satellites) as part of the EUMETSAT Polar System (EPS) programme. MetOp-A was the first satellite developed under EPS programme, while MetOp-B was the second in the series. The two satellites were launched in October 2006 and September 2012 respectively. 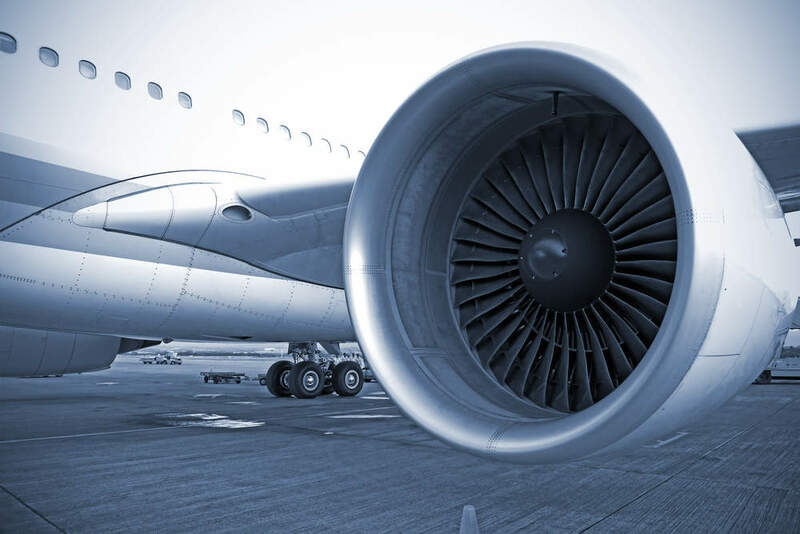 MetOp-C’s design and construction contract was awarded to Airbus Defence and Space. The satellite sensor module was manufactured at the Airbus facility located in Friedrichshafen, Germany. It was transported to ESA’s Test Center in Noordwijk, the Netherlands, in January 2017. 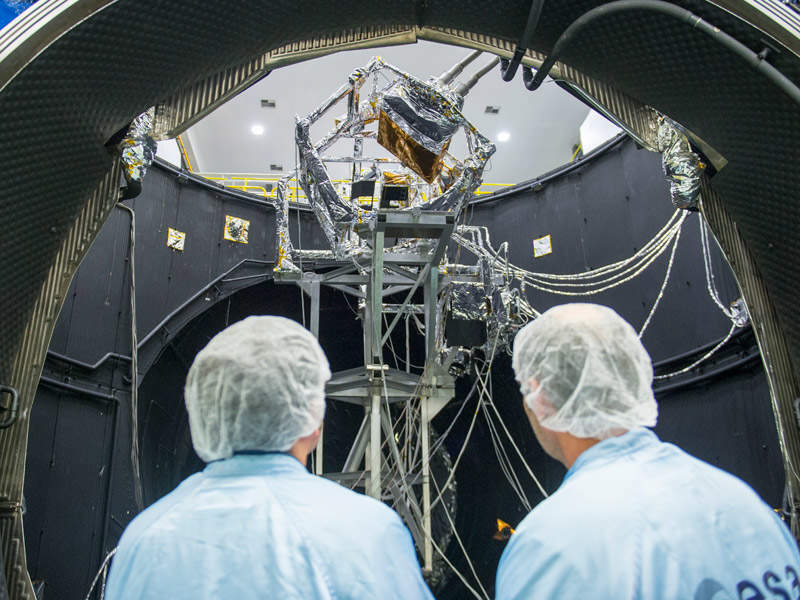 "MetOp-C carries a total of 12 instruments and will feature a variety of European sensors, including an infrared atmospheric sounding interferometer (IASI) and advanced scatterometer (ASCAT)." The satellite’s payload module was manufactured by Airbus in Germany in February 2017 and subsequently shipped to ESA technical centre in Noordwijk, the Netherlands. The service and payload modules were integrated at Airbus’ space facility located in Toulouse, France. Solar panels were installed on-board the satellite in November 2017. The satellite is set to undergo a pre-launch and series of radio-electric tests before the scheduled launch date in October 2018. It is designed for a service-life of five years and will have a launch mass of 3,950kg and dry mass of 3,650kg. The satellite is expected to generate approximately 2.1kW of power in the space using the onboard solar panels. 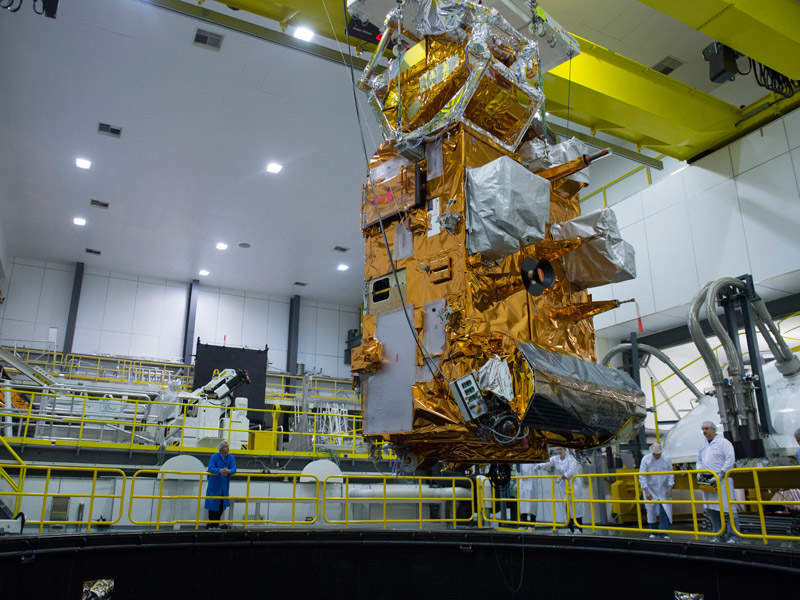 MetOp-C carries a total of 12 instruments and will feature a variety of European sensors, including an infrared atmospheric sounding interferometer (IASI) and advanced scatterometer (ASCAT). It will also be equipped with the global ozone monitoring experiment 2 (GOME 2) and global navigation satellite system radio-occultation atmospheric sounder (GRAS), which is designed to improve the atmospheric soundings. The satellite will also include an advanced very-high-resolution radiometer 3 (AVHRR/3), as well as an advanced microwave sounding instrument, high-resolution infra-red radiation sounder 4 (HIRS/4) and microwave humidity sounder (MHS). Furthermore, the satellite will have remote sensing capabilities to allow it to observe the Earth during both day and night, as well as in cloudy conditions. It will be used to measure ocean surface winds and observe sea ice distribution, in addition to monitoring the ozone layer in the stratosphere. The MetOp-C unit will also relay meteorological measurements collected by boats, buoys and research stations. It will be equipped with a receiver to relay signals sent by persons in distress and will be able to enhance weather forecasting and extend short-term forecasts by approximately one day. Arianespace was awarded the contract for MetOp-C’s satellite launch operations. The satellite will be launched aboard the Soyuz STB launch vehicle from Europe’s Spaceport in French Guiana. EUMETSAT’s ground segment will include a variety of ground-based infrastructure necessary to support the operation, including control of the MetOp-C satellite in orbit and the acquisition, reception, processing and delivery of the data. The ground network includes a central mission control station situated at EUMETSAT headquarters at Darmstadt, Germany. A central facility located at the headquarters is able to generate level 1 processed satellite data, as well as higher level 2 products. The EUMETSAT Mission Control Centres (MCC) are designed to ensure the safe operation of all satellites.